Essilight, design and manufacture of custom luminaires and catalog. We offer a large range of products, custom-made and catalog. 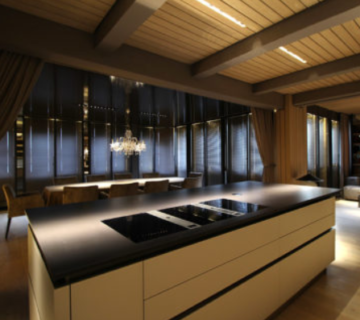 Our companie have the desire to provide lighting solutions that combine design, quality, performance and reliability. Essilight products are specially designed luminaires that meet the highest demands of specifiers, designers and architects. The design has no value without superior performance. Each fixture is designed to meet and exceed the performance levels currently available on the market. Each fixture is custom made and made of extruded aluminum with high quality acrylic diffusers. Available in traditional shapes such as circles, squares and triangles, as well as custom shapes tailored to your needs. We present you a new project with our Circline range. 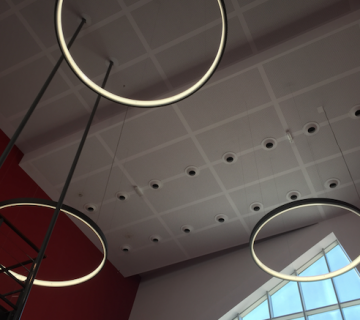 The Circline range of circular luminaires allows you to illuminate spaces with high ceilings. 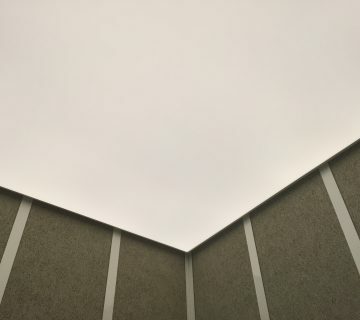 In this embodiment the ceiling height exceeds 10 m. Despite this constraint, the series 100 series circles provide a comfortable illumination of the area. The Circline 100 series luminaire with interior lighting was chosen to illuminate the first store of a new L’Oréal concept. Unique achievement for an innovative place. A Circline luminaire 7 meters in diameter to illuminate the reception part of Somfy’s new building, the Somfy LIGHT HOUSE. Nice realization with our partner in North America, the company Contrast Lighting. 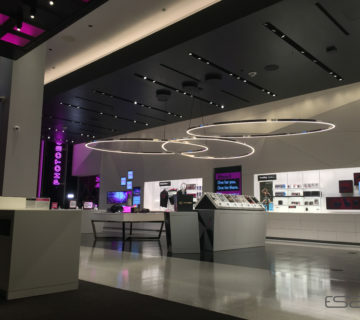 The Circline 20 series fixtures in polished aluminum finish, elegantly highlights the design of this Tmobile store in Las Vegas. Ambiance intimiste pour ce lieu où le chef Norbert reçoit en petit comité. Une réalisation de l’architecte Hervé Porte. Intimate atmosphere for this place where the chef Norbert receives in small committee. 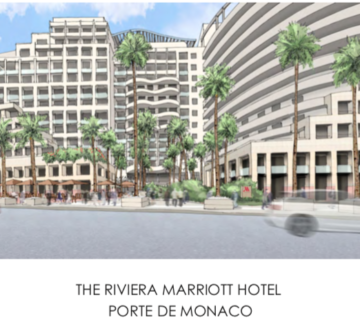 A realization by Hervé Porte architect. Minimalist lighting for this beautiful place. The light comes here to emphasize this comfortable and cozy space. It is absolutely a place to visit. A creation by Hervé Porte Architect. 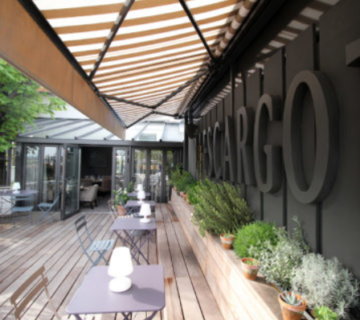 Caisse d’épargne and the architect Gérard Bergami chose Essilight and the Circline range to design and install a unique lighting fixture in the boardroom and a 20-series Circline in the coffee room. 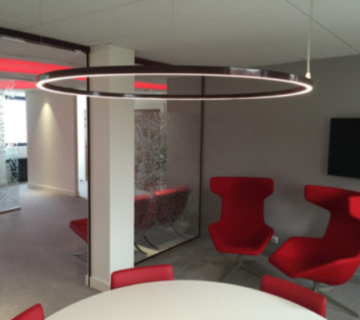 This project allowed us to exploit the decorative potential of the Circline range. 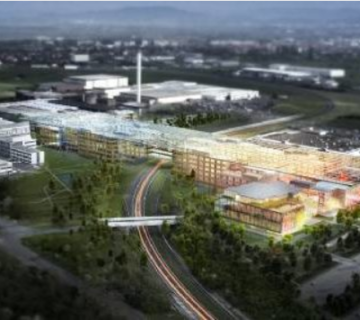 The ESSILIGHT company is part of the selected companies for work on the campus of michelin’s RDI URBALAD …to be continued.